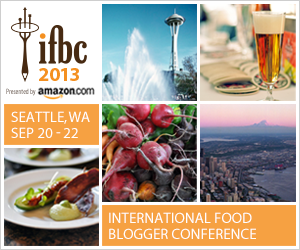 It’s been a week since I left Seattle and the International Food Blogger Conference 2013. 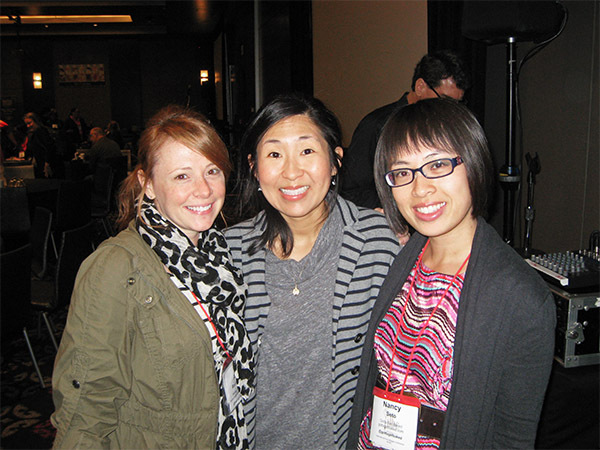 It’s taken me all that time to properly digest the experience and get over IFBC withdrawal. To say that I had an amazing time is a total understatement. I wish I could turn back time and do it all over again! There is so much for me to say about it, but this recap post will focus on the people that I met because as good as the swag, the food and the presentations were, it’s all about my blogging community. The people is what keeps me doing what I do. This is going to be a pretty photo heavy post so bear with me! First and foremost: I went for Dorie Greenspan. I heard about IFBC a long time ago and since it was in Seattle, a mere two hour drive away from me, I considered going but hadn’t made any concrete plans. As soon as I saw that Dorie Greenspan was going to be the keynote speaker, I emailed my homegirl Alice of Hip Foodie Mom and she immediately agreed to be my IFBC buddy. Neither of us were going to miss the chance to hear the inimitable Dorie speak or, if dreams really do come true, pass up the chance to meet her. I remember the first time I was exposed to the culinary genius that is Dorie. It was a few years ago, before I started blogging. I was visiting the BFF down in Seattle and she served us the most incredible lemon loaf. I asked her for the recipe and she pulled out a cookbook titled Baking From My Home To Yours and started copying out a recipe for French Yogurt Cake with Marmalade Glaze. I’ve made Dorie’s cake so many times since I’ve lost track. My own dear copy of her book is stained, crumpled, tabbed and oh so loved. I could barely contain my excitement as we waited for Dorie to take the stage last Friday. Imagine a stadium full of people waiting with baited breath for their favourite singer to open a show, that’s how electric the air was with anticipation. She surely did not disappoint. 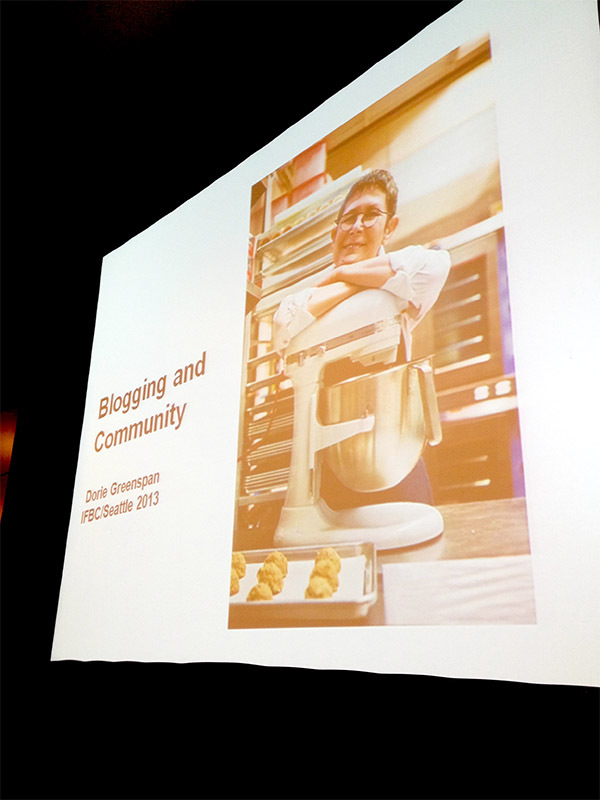 She was tasked with speaking about blogging and community but she gave us much more than that. She spoke about her own career and how she heard a lot of nos in the beginning, including a moment she wrote about in her foreword to Baking, when a pastry chef told her that he wasn’t going to hire her because she wasn’t a boy. She told us to always say yes, because by doing so you open yourself up to so many opportunities. She’s currently living her dream by splitting her time between Paris, New York (where she runs Beurre and Sel, her own line of cookies, with her son Joshua) and Connecticut. For all of you baking aficionados out there, I don’t have to sing her praises but I will: Dorie has written 10 cookbooks (with an 11th coming out next year), she’s won the James Beard Foundation Award twice and she’s written books with her idols and good friends, Julia Child and Pierre Hermes, just to list a few of her accomplishments. What I love most about this woman is how incredibly charming, humble and down to earth she is. As she said to us, “I’m lucky because I worked so hard.” With every word, story and anecdote she told, her passion for her career and her love for her friends and family shone through. She told us her perfect last meal (which hopefully won’t be for a loooong time) would include ice cream, cookies and pudding. If you email or message her and receive a response, that’s Dorie on the other end. She takes the time to respond personally as much as she can. How can you not love her? Alice and I were disappointed when Dorie slipped out right after her speech since we had been dragging around our heavy cookbooks for the past few hours. Imagine our delight when we were having drinks that night in the hotel lobby and saw her walking past. The group of us stood up and screamed her name like a bunch of deranged fans. Even though she was in a hurry looking for her husband, she still stopped to take photos with us and to sign Vane of Sweet-Lab‘s recipe book. I told her that we had her cookbooks upstairs and we were hoping she would sign them. She immediately whipped out her business card, which had her telephone number on it, and told us that if we didn’t see her the next morning to give her a call. Seriously! Dorie Greenspan gave me her telephone number and told me to call it! Not that I’d do anything that insane but it just goes to show again what a sweetheart she is. 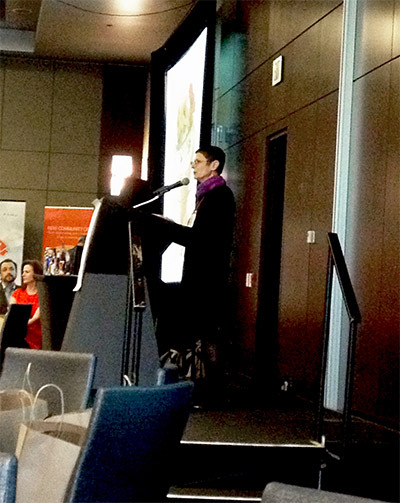 I’m glad I got the chance to tell her that I was at IFBC because of her and she mock gasped in horror, saying that she’s thankful I hadn’t told her that before her speech otherwise she’d have been to nervous to give it. With my baking idol, the incredible, incomparable Dorie Greenspan. Vane’s a genius for having Dorie sign the notebook she carries with her. I should’ve had her sign anything, a napkin, an old receipt in my wallet, my arm which I would’ve happily and willingly skinned later on. Dorie was only one of many highlights of my weekend. What ties for first place is meeting so many incredible, warm, hilarious bloggers, many of whom I’ve gotten to know in the past year through our blogs and social media. My roomie, Alice, is exactly as I expected her to be. I’ve sung Alice’s praises many times on my blog (see here and here) and it’s because she’s such an amazing woman, mom, friend, blogger and all-around person. She makes incredible food but she’s also real, genuine and side splittingly funny. So happy to finally meet Alice in real life! This woman has so much energy – she’d get up at 6 a.m. and go full throttle until we went to sleep at 11 or midnight. She assured me that I didn’t snore but maybe she’s just being polite. The Husband said I’m as loud as a freight train at night. From left to right: Rachel of Runners Tales, Megan of I Run For Wine and Liz of That Skinny Chick Can Bake. We had such a great time catching up because seriously, I already feel like I know these ladies. It felt like we’d been friends for a long time and we were simply reuniting. Linda of The Urban Mrs., seen here squished between myself and Alice, also from Sunday Supper, made the trip from San Francisco (one of my fave cities). In this lovely group, from left to right, is the amazing Jennifer of Savory Simple, Alice, Linda, my dear friend Vane of Sweet-Lab, moi and the super sweet Chung-Ah of Damn Delicious. Alice and I also had the pleasure of meeting and hitting it off with Allie of Baking a Moment. This girl is as sweet as can be. 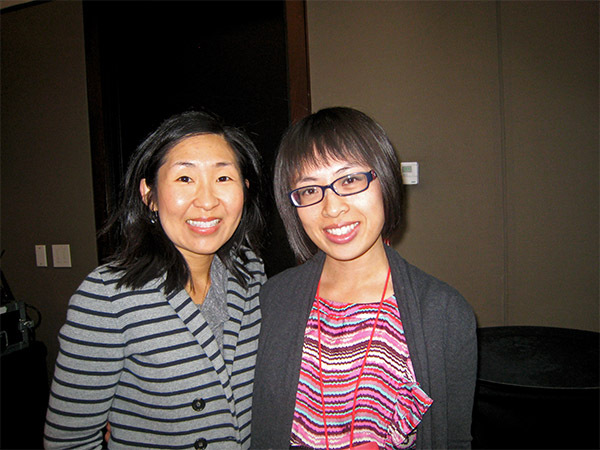 She was in Seattle for both IFBC and to celebrate her 10 year wedding anniversary with her husband. He was such a good sport – while Allie was busy with the conference, he’d go sight seeing on his own. I was a tad bit worried about talking to people and making friends since I’d heard that the attendees from some blogging conferences were clique-y, but I had nothing to worry about. Everyone was incredibly warm, friendly, fun and I probably learned as much about photography and blogging from my fellow attendees as from the guest speakers. For example, Allie told me about a site alexa.com that ranks your blog against all the others in the world. Mine falls at about one million. Not too shabby! And Rachel of Runners Tales told me that my camera can shoot in both raw and JPEG so that I can still see the photo on the camera’s screen. As if I’d ever have looked at the manual to figure that out. Thanks, Rach! There are so many others I met and I’m sorry I can’t name you all but you definitely helped make my experience a fabulous one. I’ll do a recap on the sessions, the swag (oh the swag!) and the food (oh, the glorious food!) in my next post. I wanted to devote this first post to all the incredible people I met. Seriously, their blogs are amazing so make the time to check them out. 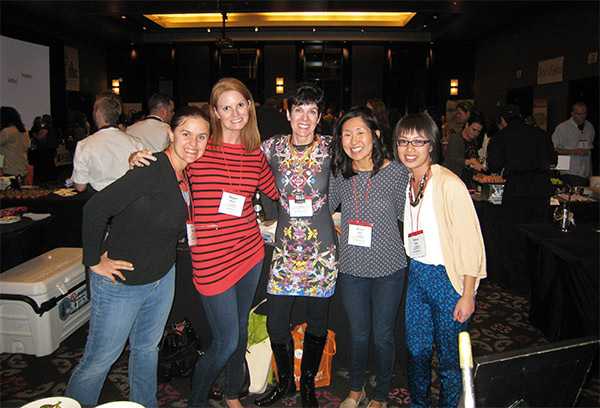 As I said to my friends on our last morning of IFBC, when else are we going to spend an entire weekend eating and talking to other like-minded people about food and blogging? When will it be acceptable for an entire table of people to be standing up, taking numerous shots of their meal and letting it get cold, before digging in? Not to mention having our eyes glued to our smart phones in order to constantly update Twitter, Instagram and Facebook and not have it be considered rude because we’re all doing it. Loved living vicariously through you with this post!!! YES on the swag and food recap, I can’t wait for more 🙂 Hope I can make it to one of these someday, it sounded like you had such a great time. Thanks for sharing your experiences! Pretty exciting! I too, am a huge fan of Dorie’s. You are pretty lucky to have met her and take pictures with her. Thanks for sharing your trip. I will be in the picture the next time!!!!!!!! Dorie is awesome, no wonder she’s had so much success! What wonderful memories and a wonderful recap… I have to admit, I am a tad jealous that I am not right in the middle of all the Sunday Supper Movement peeps but I am so glad that you all had such an amazing time! Dammit! I wish I could have been there but my wallet denied my request, hahaha. Sounds like fun. I’m soooooo jealous! I love Dorie! Her cakes are about the only ones I make now because they are just so good! if it hadn’t been on the other side of the country I so would have been there. It looks like you had a great time! Sounds very interesting. Too bad it is so far away from me or I might have attended such an inspiring event. Great recap! Made me even more envious!! 🙂 So great that you were able to meet one of your idols AND get a picture with her! I look forward to hearing more about the conference! Sounds like you had an amazing time and I’m so excited for you to have met your baking idol! Good for you for going after her, you would have definitely regretted it if you didn’t scream after her! Can’t wait to hear more about the conference .. Also my site is almost at 2 million on Alexa ranking so you’re doing a heck of a lot better than me! Nancy, you cracked me up! Especially the snoring part. When I was a kid, my sister assured me that I snored so one night I decided to record it and proved her wrong, lol. 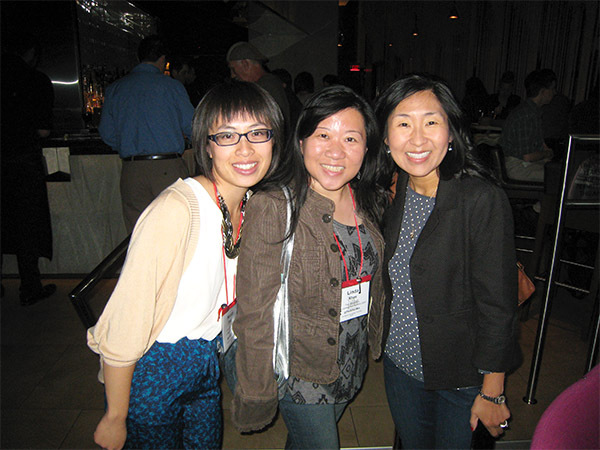 So glad to finally meet you in-person and hope to see you again next year…or when we visit Vancouver soon. 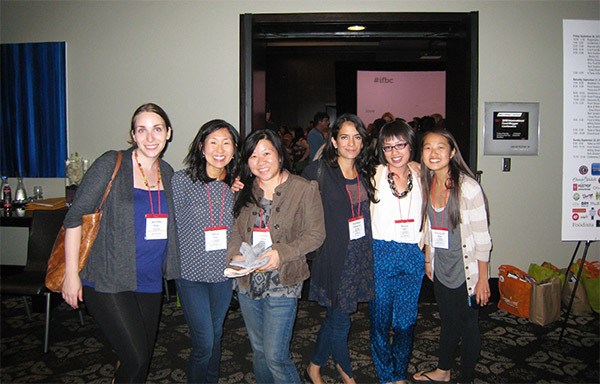 So nice to have stumbled by and seen you IFBC recap! I haven’t been to a conference yet but cannot wait! Thanks for posting about Dorrie – what an inspiration she is! Yay! This is a complete celebratory post of the wonderful weekend we had. You were so good at documenting the event with pictures! It was such a pleasure meeting you and all the other bloggers. It was so much fun and I miss it! I’ll always remember the time we “ran into” Dorie Greenspan at the hotel. She looked so focused and determined to find her husband until we distracted her…Haha! THERE ARE NO WORDS. YOU ARE TOUCHING DORIE. THERE.ARE.NO.WORDS. Wow Nancy, you are really a very talented writer! 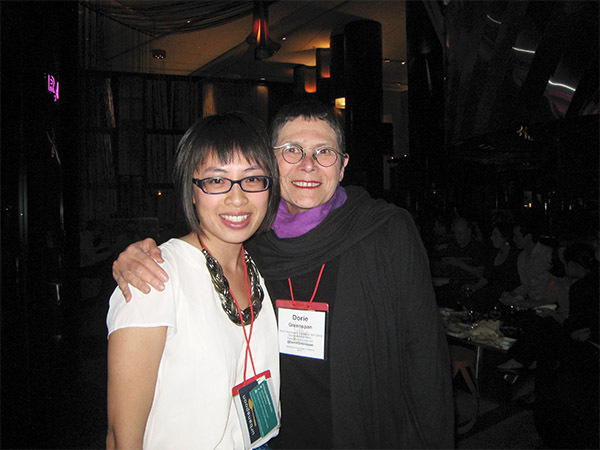 I felt your excitement about meeting Dorie Greenspan, and I could feel how meaningful this experience was to you. How lucky you were to have spent this time with so many other talented bloggers! I really need to get myself to one of these conferences. Great post as always! What a beautiful post Nancy. I enjoyed reading about your experience and how much fun you had and all the wonderful bloggers you met, including Alice! Great photos! So cool about meeting Dorie too! That’s flippin hilarious about the snoring….oh please, my husband is the loudest ever. Seriously, he gets kicked, shoved and pushed every night. I want to just scream “shut up”!!!!! !